306 pages | 17 B/W Illus. 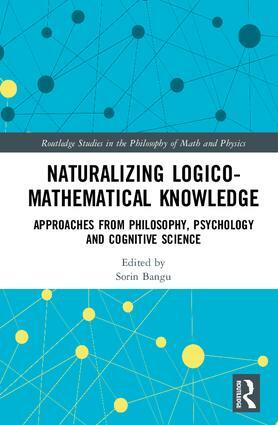 This book is meant as a part of the larger contemporary philosophical project of naturalizing logico-mathematical knowledge, and addresses the key question that motivates most of the work in this field: What is philosophically relevant about the nature of logico-mathematical knowledge in recent research in psychology and cognitive science? The question about this distinctive kind of knowledge is rooted in Plato’s dialogues, and virtually all major philosophers have expressed interest in it. The essays in this collection tackle this important philosophical query from the perspective of the modern sciences of cognition, namely cognitive psychology and neuroscience. Naturalizing Logico-Mathematical Knowledge contributes to consolidating a new, emerging direction in the philosophy of mathematics, which, while keeping the traditional concerns of this sub-discipline in sight, aims to engage with them in a scientifically-informed manner. A subsequent aim is to signal the philosophers’ willingness to enter into a fruitful dialogue with the community of cognitive scientists and psychologists by examining their methods and interpretive strategies. Sorin Bangu is Professor in the Department of Philosophy, University of Bergen, Norway. He works in philosophy of mathematics and philosophy of physics, having longstanding interests in epistemology and the history of analytic philosophy. He is the author of The Applicability of Mathematics: Indispensability and Ontology (2012). Recent years have seen a surge of interest in the topics discussed by philosophers of mathematics and physics, particularly those relating to the way in which these disciplines intersect. Titles in this series cover a wide range of exciting and dynamic issues such as category theory, mathematical proofs, computability, emergence, time travel, quantum black holes, and string theory. Authors explore leading questions concerning new directions in the philosophy of mathematics and physics, with the aim of presenting clear, concise, and original monographs for an advanced audience.